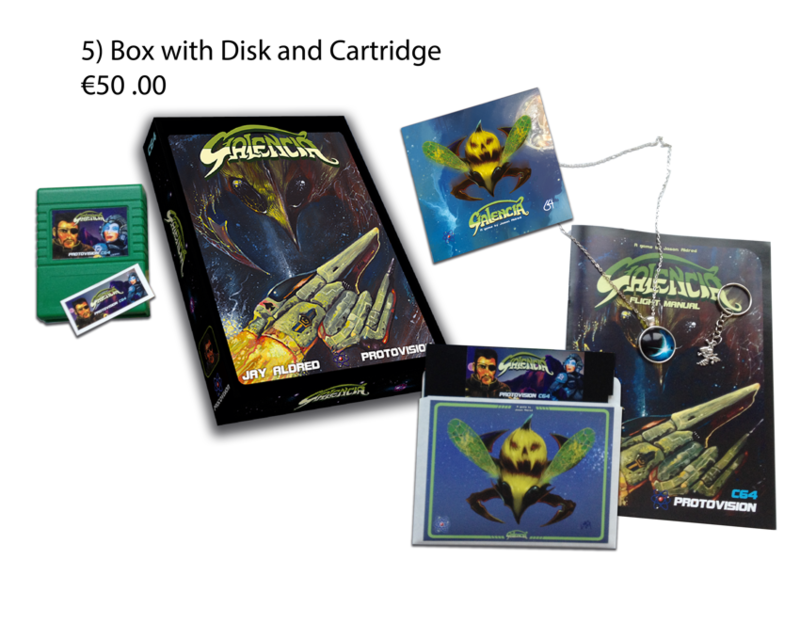 The acclaimed Galaga inspired action shooter from Jason Aldred is now available in full glory at Protovision! 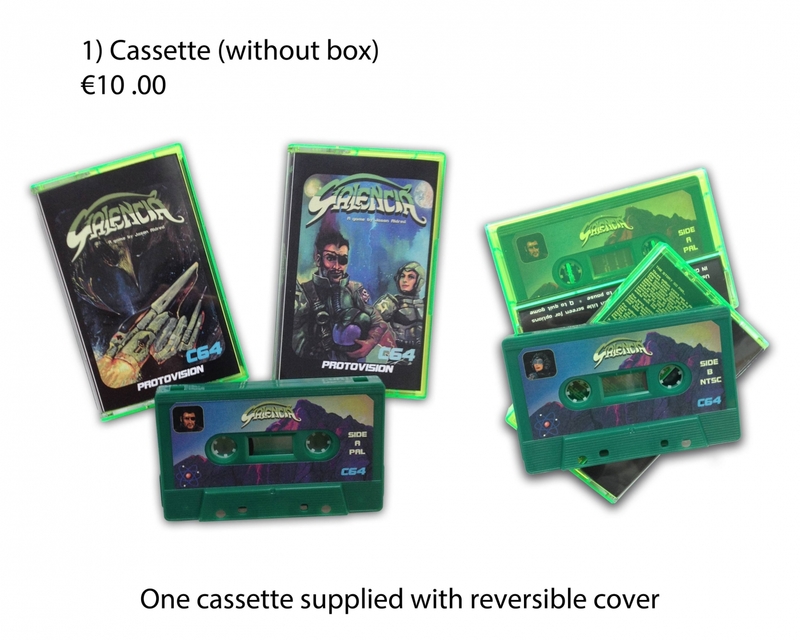 Just the tape. It comes on a green cassette with a j-card that you can flip around for an alternative cover picture. The tape comes in a neon green jewel case (front side is fully transparent, only back is neon green). 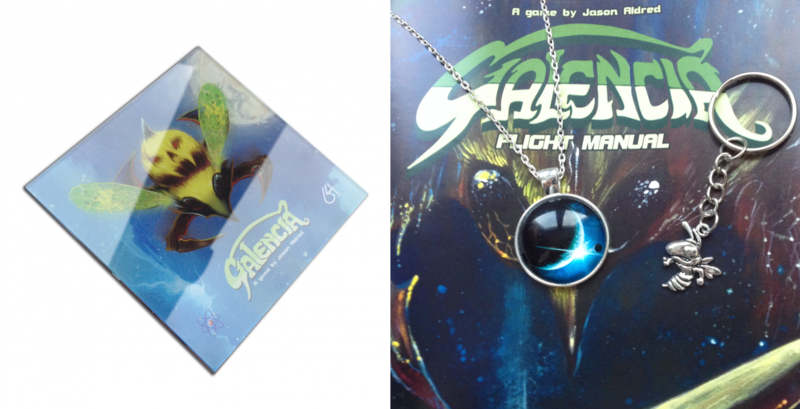 While stocks last we include an additional small Galencia sticker to the first 200 orders of a boxed version! 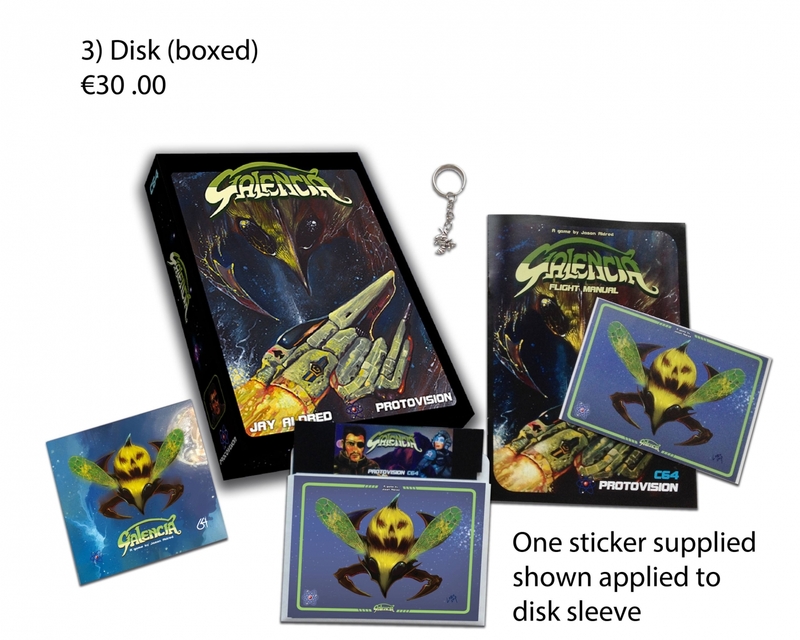 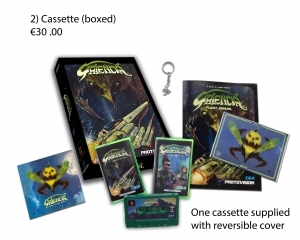 With this edition you receive the cartridge and the disk in one box (the disk is free floating) along with everything that is included with all boxed editions, plus you get a space amulet that is much needed in higher levels of Galencia as it has been reported to promote good fortune. 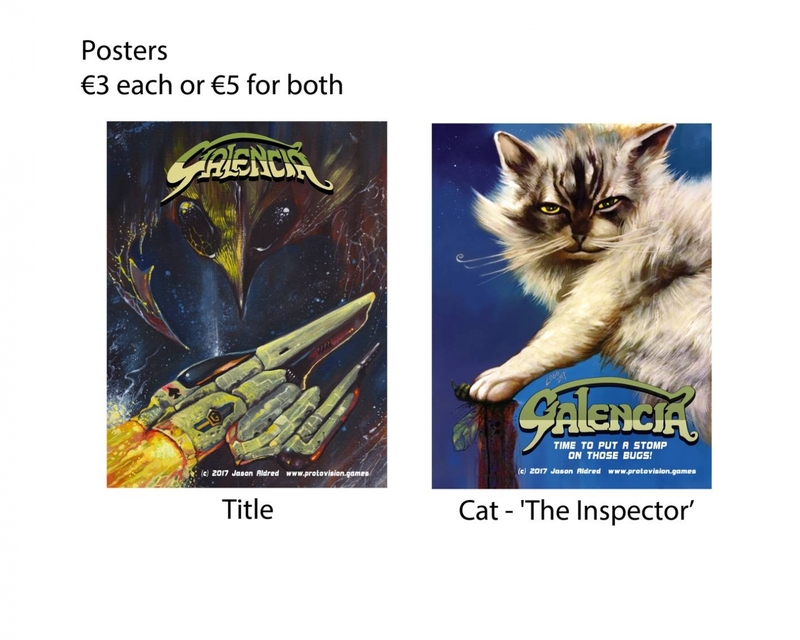 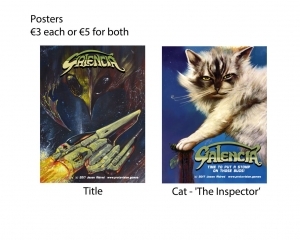 All editions of Galencia are PAL and NTSC compatible. 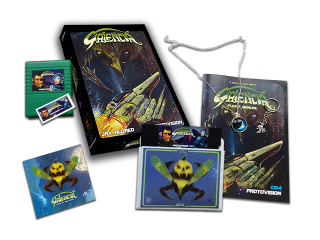 Any physical edition includes the digital images of the tape and disk versions. 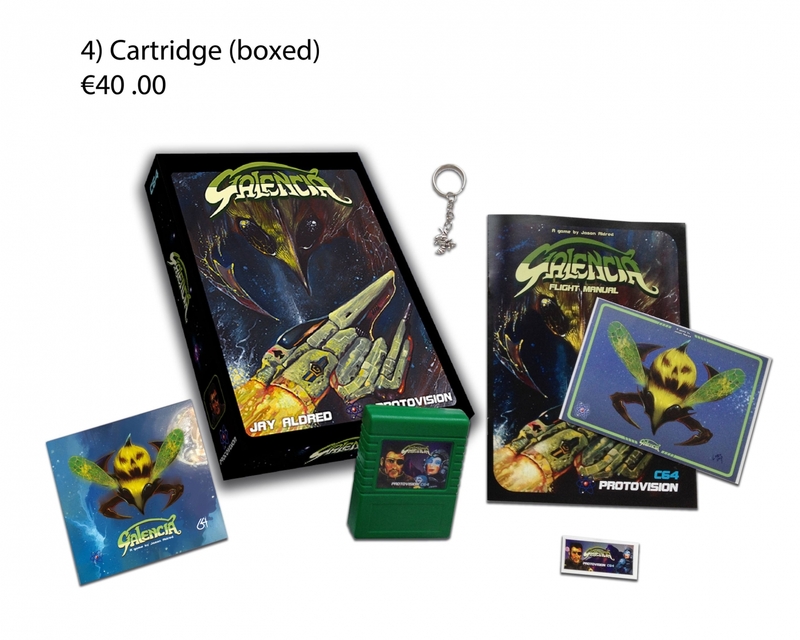 The Box, Instruction and Give Aways are awesome, The Game is a super nice Galaga Clone with Top Grafics, Sound and Intro incl. Score Save....!!! I hope we see more releases like this for the C64 in the future! 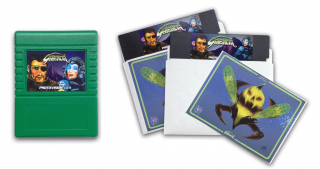 Thanks to everyone who had a hand in producing this wonderful game.